Founded in 1980, the UKSA promotes integrated sports for people with learning disability on both local and international levels. The organisation seeks to facilitate participation in sports for people with learning disability and through sport, facilitate their education and social integration. Though established only in 2003, this organisation has been very active in encouraging participation of deaf people in sport activities and sport events throughout Britain. Since 2006, the UKSD is a member of both the European Deaf Sports Organisation (EDSO) and the International Committee of Sports for the Deaf (ICSD). Special Olympics Great Britain is a part of the world’s largest sports organisation, the goal of which is to facilitate access to sporting opportunities for children and adults with intellectual disabilities. It is the parent organisation to over 130 clubs which offer training and organise competitive events in 26 sports for intellectually impaired people throughout Britain. 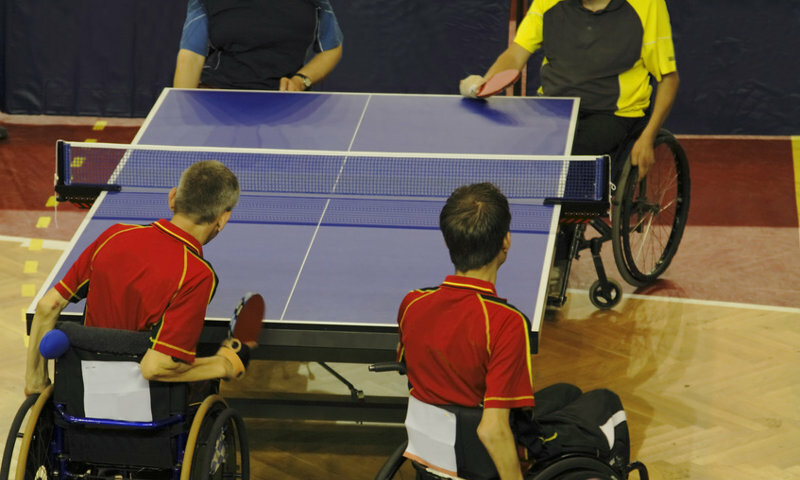 Headquartered at the world-famous Stoke Mandeville Stadium, the WheelPower is a national sports organisation for physically impaired children and adults. The goal of organisation is to provide physically disabled athletes with the opportunity to participate in a number of sports, both recreational and competitive, regardless of their age and fitness level. It supports both wheelchair sports organisations listed below. The BWRA oversees wheelchair racing in Britain and promotes the sport to people with physical impairment. It is a voluntary organisation and is largely funded through donations. The BWAA has been promoting athletics to physically impaired individuals since the early 1980s when it was established. The organisation provides support, guidance and training for wheelchair athletics as well as provides disabled athletes with the opportunity to participate in competitive events. The BBS is a national sports organisation for the blind and partially sighted people. It’s work is focused on encouraging individuals with visual impairment to participate in sports for both recreational and competitive reasons because sport and recreation promote health as well as facilitate social interaction. The CP Sport seeks to encourage disabled individuals, in particular those with cerebral palsy to take part in sports and physical activities, and provide them with the opportunity to do so. The organisation also builds partnerships with like-minded organisations with an aim to improve access to sports for physically impaired children and adults.